Lani Carney, or Miss Lani, has been teaching art classes at Featherstone since 2004. Lani Carney, or Miss Lani as everyone calls her, spent 25 years teaching child development and psychology at the college level. 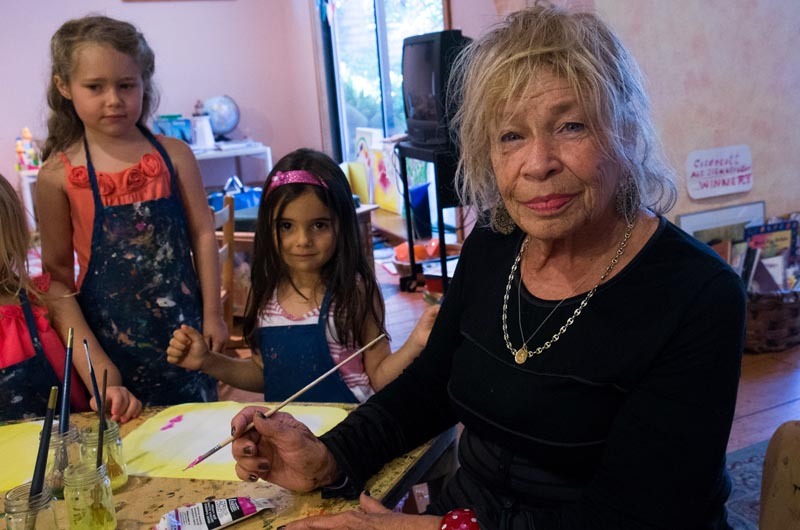 Here on the Vineyard she teaches art to children at Featherstone, but that doesn’t mean she’s left her past behind to pick up the paintbrush. For her, art is development, psychology and, of course, a whole lot of fun. Particularly when practiced with children. At Miss Lani’s summer camp art classes, a day could be filled with nearly anything, from pretending to be Jackson Pollack, Wassily Kandinsky or Mozart, with crayons, that is. Miss Lani came to the Vineyard in retirement, but that isn’t really a word that sits well with her. She has been teaching art classes at Featherstone since 2004, and thankfully there is no sign of slowing down. What they say about art feeding the soul is true. For more information on times and days of Miss Lani’s classes, visit featherstoneart.org.